It might sound like the name of some hipster band, but actually, brand archetypes are a powerful tool that might help you develop your brand in ways you didn’t think possible. It works if you’re a T-shirt printing company in the UK (like us!) or a giant like McDonald’s. What are they? How do they work? Before we jump into it we might want to clear up some simple concepts first. We all know what that is, you might say, but really, think about it, do you really know what a brand is? Reflect on it for a minute, once you’re done, continue reading. You may be one of the few, but most people cannot define what a brand is. A brand is a group of elements that identify a company and distinguish it from the competition. This might include logo, colours and slogans. Thanks in part to new technologies like social media, brands are becoming more complex over time. What once used to be just a colour scheme, has now evolved into a personality with a full spectrum of emotions, quirks, defects and pet peeves – in short, they’re a personification of a company. Keep that word in mind. We’ll go back to it. These ones are a bit trickier to explain since they’re a very abstract concept, but I’ll do my best to keep it simple. Archetypes are images and concepts that transcend time and culture. They’re icons that impregnate the myths and legends from the past and the movies and tv shows of our present. “[…] forms or images of a collective nature which occur practically all over the Earth as constituents of myths and—at the same time—as individual products of unconscious”. “The [forms and images] are imprinted and hardwired into out psyches”. According to Jung, archetypes appear in our thoughts and dreams. They help us untangle our subconscious mind and explain our deepest longings and needs as human beings. This might be easier to understand as we talk about each archetype a bit ahead. Note: Do you like infographics? Check out one we did on merchandise here. 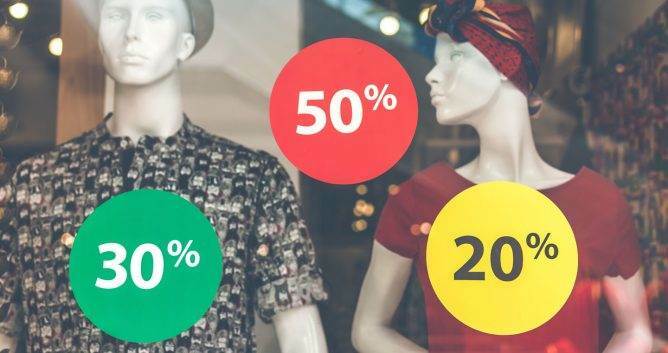 Archetypes are primely used in the field of psychology, but they have also proven to be a valuable tool for narrative and, as it turns out, marketing. Archetypes allow a brand to set themselves apart from a line of brands that offer the same product. Archetypes also help them connect with the subconscious and basic human needs of a target audience. It is a powerful thing when we tap into the psyche of others. There are a total of 12 brand archetypes that are divided into four general human needs. Each archetype represents a more specific need that branches out from the main one. With a positive and kind speech, this archetype sees the good in everything. Brands who use this archetype might want to make their costumers feel safe and beautiful on the inside. The Sage is an archetype that will never know too much. His ultimate goal is to understand all things. Brands that identify with this archetype tend to have a humanist side and want to help those who follow them. This archetype wants to travel the world and experience everything it has to offer. A brand that has chosen the Explorer as their archetype may offer their clients a chance to escape. Marketing campaigns may revolve around images of far-away places. An archetype that wants a revolution and is not scared to break the rules to achieve it. These brands tend to cater to misfits and/or people who like living on the edge. This archetype knows so much that at times it might seem as supernatural. They promise their customers to make their dreams come true by using their impressive skills. It is no wonder that many technology brands use this archetype. Heroes are brave, selfless, stand up to the bad guy and defend the underdog. Brands that shape themselves after the Hero sell themselves to their customers as the one who is going to rescue them from their woes. The lover archetype is an idealist dreaming not only of sensual pleasure but true love as well. A company that identifies itself with this archetype will most likely use suggestive imagery to evoke sensations. This archetype is the very definition of a hedonist – Its only mission in life is to enjoy it. A marketing campaign designed for a Jester brand would probably be very funny or at least entertaining. Everyone loves to laugh, that’s why Jesters are some of the most beloved brands or at least have the most memorable ads. Who’s the everyman (also known as the regular guy/girl)? Well, you look at him/her when you look in the mirror. 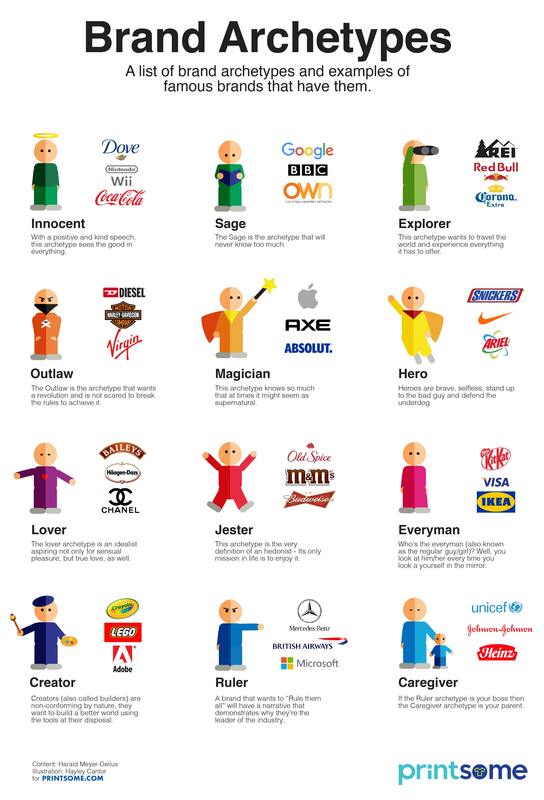 Brands who identify with the Everyman archetype relate to people on a “real” level. The Everyman marketing campaign usually evolves around everyday life activities and routines. Their message: It is perfectly fine to be normal. Creators (also called builders) are non-conforming by nature, they want to build a better world using the tools at their disposal. A Creator brand will empower its customers to use their creativity by selling them a world of possibilities. A brand that wants to “Rule them all” will have a narrative that demonstrates why they’re the leader of the industry. These type of brands will suggest to their customers that they can be rulers, too. If the Ruler archetype is your boss then the Caregiver archetype is your parent. They empathise, want to help and protect their clients. Their message tends to be very positive. A Caregiver brand will exude an aura of selflessness. How will this help my brand? Designing a marketing strategy around an archetype will help you define your message and communication strategy. It is a creative exercise that will help you explore your brand’s identity and make it stand out from the rest. If you’re interested in brand archetypes, you may want to check out the following slide that makes a good job at explaining the theory. I also recommend reading the book (the one the slide is based on) The Hero and the outlaw – Building extraordinary brands through the power of archetypes by Margaret Mark & Carol S. Pearson. What would be your brand’s archetype? Let us know in the comments below. 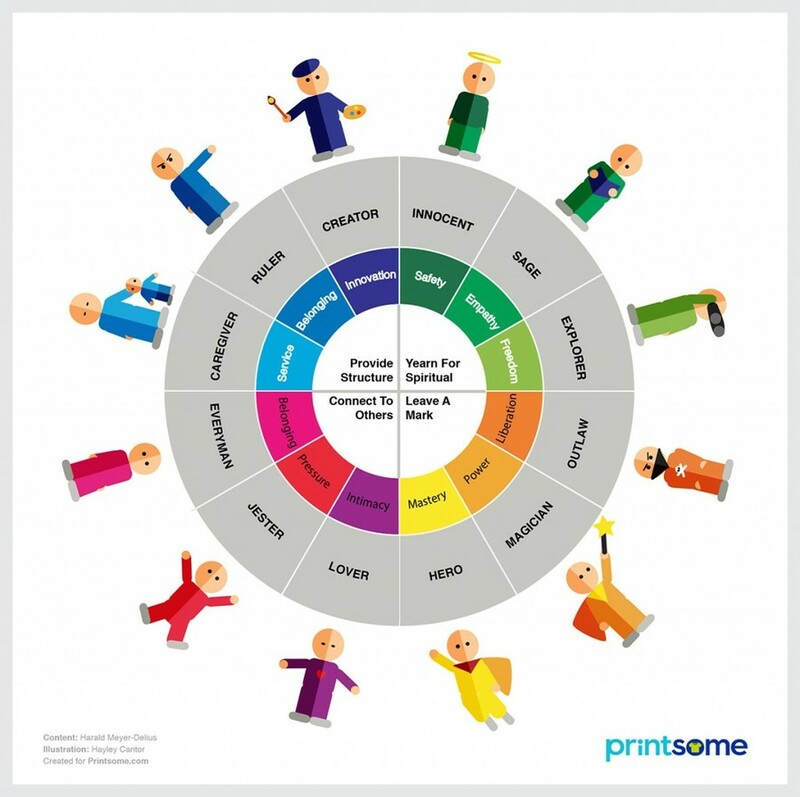 And for more content on marketing and brands, keep reading the Printsome blog.